You used to need to use the Arduino 1.0.5 or older version to update the firmware, as later versions couldn’t load the add-in needed to load the RAMBo board. Without this the LCD couldn’t be loaded. 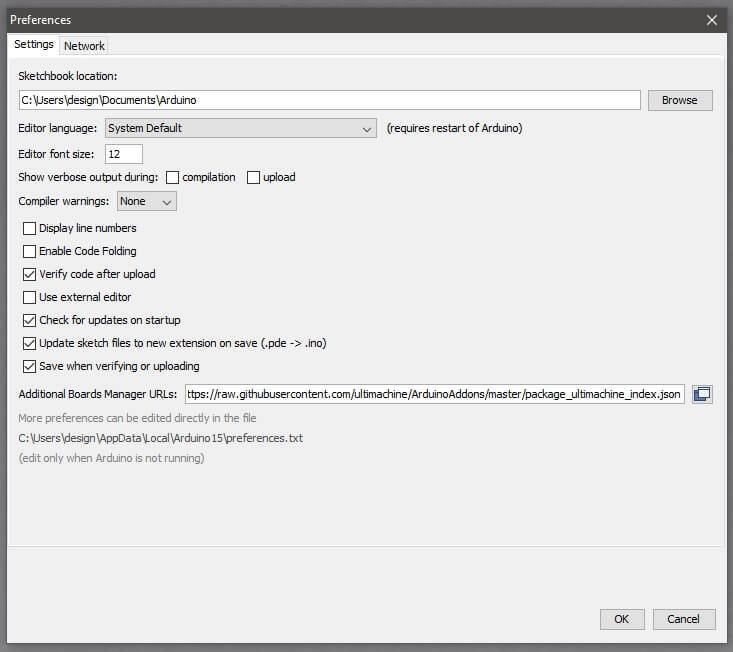 Update: Now version Ardunio version 1.6.7 nightly build works. You will still have to load the RAMBo board driver/plug via the preferences popup though. The first link is a zipped version of the original setup files for the Scoovo X9H 3D printer. They are covered by a general public license (GPL).